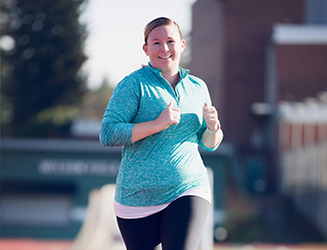 Dive into your running goals with our one-on-one coaching. Want that individual attention and time? This program is perfect for you. We will build you a customized training calendar and work with you to reach your goals, whatever they may be from first 5Ks to Ultra Marathons! 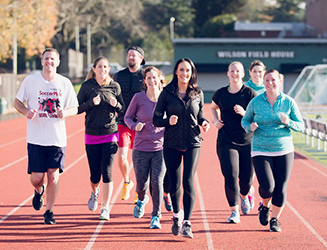 Our Run Training is our most popular program. In this program we offer customized and specialized calendars and training programs just for YOU but you also get the benefit of hitting the road and track with a bunch of other awesome people! We have two programs within our Run Training, Build-Up and Speed-Up. 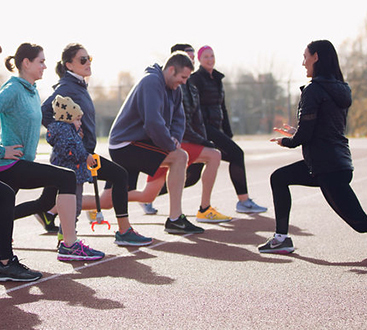 Our Build-Up program is designed for runners that are new to sport, returning to the sport, or are in it for the fun of it! 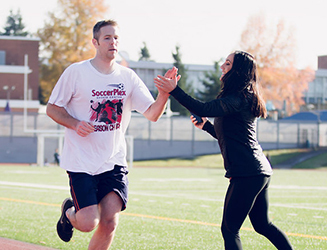 Our Speed-Up program is designed to push your limits and get your to your next Personal Record or next distance. Both options are incredibly fun and effective. Nothing beats working out with your friends. It makes everything more fun and is a great way to hold yourself and your friends accountable. 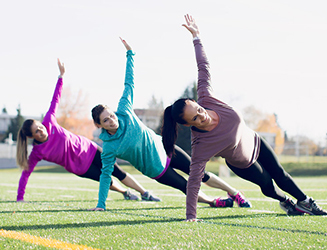 With our small group training, get 1-4 friends to join you in working towards your goals. We will sit down and figure out what each of you is hoping to accomplish and how to achieve that. Just like with our one-one-one training, we can come to you or use one of our studio spaces. Find your fit with your friends!